Junior squads from across the section will be in Tucson in early August for the USTA Southwest Jr. Team Tennis Championships. This annual section championship brings together nearly 250 players comprising roughly 25 co-ed clubs competing for a shot to earn the title of Southwest's best junior squads as well as a coveted bid to the national championships in the 14s and 18s divisions. Four divisions of play will take place at this year's event, including divisions for 12 & Under Intermediate, 14 & Under Intermediate, 18 & Under Intermediate and 18 & Under Advanced. Section winners of the latter three of those divisions will each advance on to the USTA Jr. Team Tennis National Championships held in October of this year in South Carolina. At the Section Championships, teams will compete in co-ed play in a games-won format to decide each match. Team matches are five lines of play in boys singles, boys doubles, girls singles, girls doubles and mixed doubles. Set score is shortened to four games (tiebreaker at 3-3) sets for 12 & Under competitions, and six game sets (tiebreakers at 5-5) for the 14s and 18s. Play will begin on Friday August 10 at 5:30, following team check-in for the event. Play will take place from 7 am - 2 pm on Saturday and Sunday, with awards ceremonies following the completion of each division of play. We will be using two sites for the 2012 USTA SouthwestJr Team Tennis Championships. 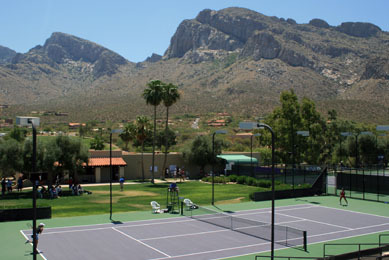 Hilton Tucson El Conquistador Tennis Resort has 16 lit hard courts for championship play. The facility is near the hotel and is located at 10000 North Oracle Road, Tucson, Ariz. 85704. Hilton Tucson El Conquistador Country Club is a couple of miles from the host hotel. The facility has 15 lit hard courts for championship play. Allow your team about 10 minutes to make it to this site from the host hotel. The facility is located at 10555 North La Canada Drive, Tucson, Ariz 85737. The Hilton Tucson El Conquistador Golf & Tennis Resort is this year's host hotel for the USTA Southwest Jr. Team Tennis Championships. This internationally acclaimed hotel has won numerous travel and hotel industry service awards, and has been a frequent host to USTA events at all levels, junior and adult. The hotel has provided a spectacular rate of $79/night. Reservations must be made no later than August 3, 2012. All teams can reserve their own rooms by calling the hotel directly at (520) 544-5000 or by calling reservations at 1-800-325-7832. Please mention 'USTA SOUTHWEST JR TEAM TENNIS SECTION CHAMPIONSHIPS' to receive the discounted rate. 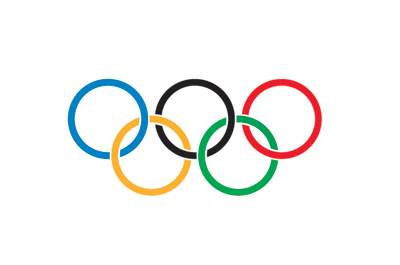 Like our Adult League Section Championships, we will be holding an Olympic-themed Player Party. Root on Team USA, and definitely come dressed in red, white and blue or as your favorite Olympic athlete. The party will be held on Saturday, Aug. 11 from 6-9 PM at the Hilton Tucson El Conquistador Golf & Tennis Resort's Turquoise Ballroom. Dinner, music, karaoke, door prizes and prizes for best dressed will be a part of this celebration, so get creative. Go Team USA!!! The Team registration form, Player release and liability form as well as the Sportsmanship Form should all be faxed back to tournament director Ashley Redman at (480) 289-2701 or contact her at aredman@southwest.usta.com. Those forms can be found below, and are also a part of the full captain's packet.